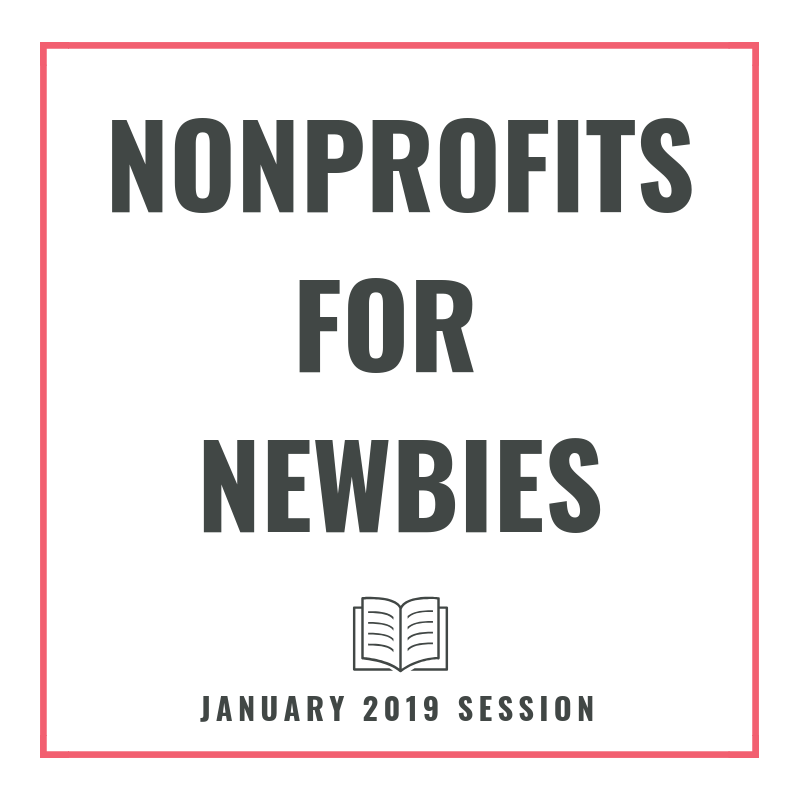 Nonprofits for Newbies is the first crash course teaching you how to run a nonprofit in today's environment. Over three sessions, you'll get a deep dive into all aspects of running an exceptional nonprofit organization. This course is perfect for anyone new to the nonprofit field, moving up in their career, first time board members, or simply as a refresher. * What taxes are nonprofits exempt from? * Is "nonprofit" a business model? * What streams of revenue can nonprofits benefit from? * What are under utilized nonprofit benefits? * How can my organization set up a strong fundraising program? * What is the proper way to budget? * What social media platforms should our organization focus on? Nonprofits for Newbies is a live course offered every month and tailored to the unique questions of the students. Upon purchasing a seat, you'll be given the opportunity to submit your specific questions to be included in your session's content. All 3 one-hour sessions will be held at 2pm EST. Can't make the January session but would like to join in the future? Please email sheela@thirdsuite.com.